A versatile group project! 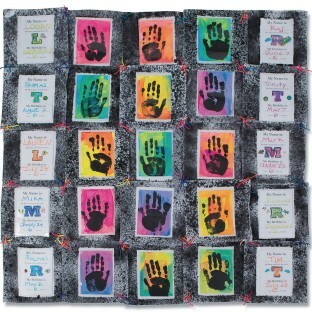 A 4” x 6” plastic pocket on each quilt square can hold a photo, artwork, and more. Assemble the individual squares into one collaborative project. Includes 25 blank, white fabric 8” squares each with a 4” x 6” photo pocket and assorted multi-colored rattail cords for tying the squares together. Assembled quilt measures approx. 40” x 40”. Squares are a cotton/polyester blend. 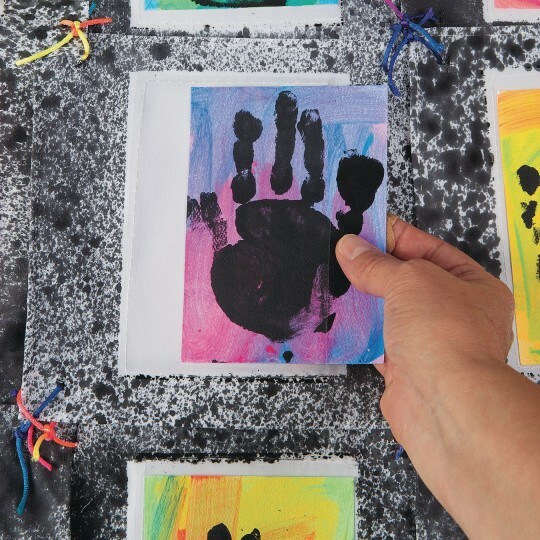 Decorating supplies sold separately, we recommend fabric paint, acrylic paint, and permanent markers.